Just Listed :: Beautiful Traditional in Mableton! Welcome Home! Located in one of Mableton’s most popular swim/tennis neighborhoods, this home is just what you’ve been looking for. The flowing floor plan, custom features, and charming character of this home will never go out of style. The close proximity to I-285 and I-75 makes this home convenient to and from any direction. You’ll also have easy access to the highways, byways, and activities that make this location such a well loved destination. You will certainly enjoy being only a short drive from Smyrna Market Village, Vinings shopping, several area parks, and the 61-mile long Silver Comet Trail! · Kitchen features ample cabinet space, granite counters, tile backsplash, pantry, breakfast bar, and spacious breakfast area. · Formal living room is wonderful living space. · Wonderful family room has a cozy gas fireplace and soaring ceiling. · 9ft ceilings and beautiful crown molding throughout main level. · Master suite is a true retreat including trey ceiling, walk-in closet, and master bath with double vanity, jetted tub, and separate shower. · Great outdoor space includes a patio overlooking the large fenced backyard. 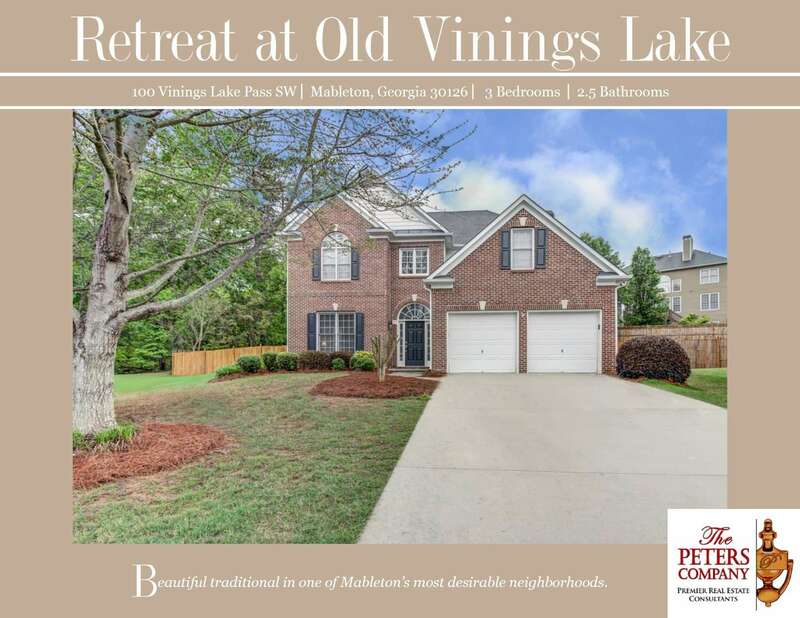 · Quiet cul-de-sac location close to neighborhood amenities including pool with new splash fountain (coming soon) and pond with ducks, turtles, and fish! ← Just Listed :: Charming Brick Ranch in Great Location!